Ben Golnik has served at the top level of Minnesota state government and campaigns for nearly 15 years. Ben is well respected on both sides of the aisle, enjoys strong relationships at the Minnesota Capitol, and brings strategic campaign-style tactics to the public affairs arena. With years of leadership experience in every corner of the state, Ben understands the political dynamics as well as anyone in Minnesota. Over the last decade, Golnik and his firm, Golnik Strategies, have worked on dozens of public affairs campaigns for Minnesota-based clients including a National Football League franchise, corporations, trade associations, and non-profits. Ben has managed numerous projects supporting Fortune 100 companies such as Ford, Coca-Cola, and Microsoft. Most recently, Ben served as executive director for the Majority Caucus at the Minnesota House of Representatives. In this role, Ben oversaw all operations of the House of Representatives, including 250 staffers and an annual budget of $16 million. On the political side, Ben directed independent expenditures of nearly $2 million each election cycle. 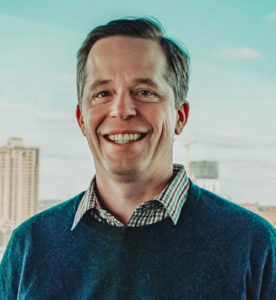 In 2013, Ben founded the Minnesota Jobs Coalition, a political committee and non-profit that quickly established itself as the leading outside group on the center-right in Minnesota. This group revolutionized the use of data and analytics in legislative campaigns in Minnesota. These efforts contributed to Republicans taking control of the Minnesota House in 2014 and growing their majority in 2016 to a historic high after a Presidential election. In the 2010 election cycle, Ben served as the general consultant to the Minnesota Senate Republicans. Ben helped engineer the campaign strategy that gave Republicans their first majority in 38 years and a net pick-up of 16 seats, the most of any Senate caucus in the nation. Ben is frequently called on by the Minnesota and national press corps to provide insight on political and public policy issues in Minnesota. He has been quoted in The New York Times, Washington Post, Wall Street Journal, Politico, and many other publications. In 2011, Ben was selected for the “40 Under Forty” list by the Minneapolis-St. Paul Business Journal. Ben has provided training to political parties in Angola and served as an election observer in Afghanistan. A graduate of Middlebury College in Vermont, Ben studied abroad in Russia as an undergraduate and spent an additional six months in the country on a fellowship following his graduation. He and his wife live in Saint Paul with their three children.